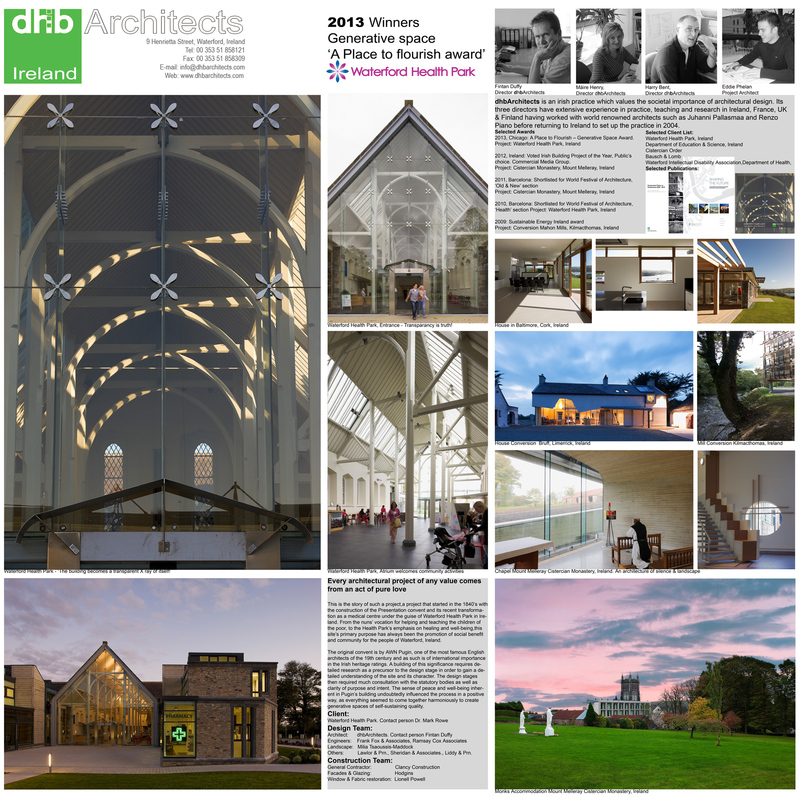 dhbArchitects collected another award for their Waterford Health Park. 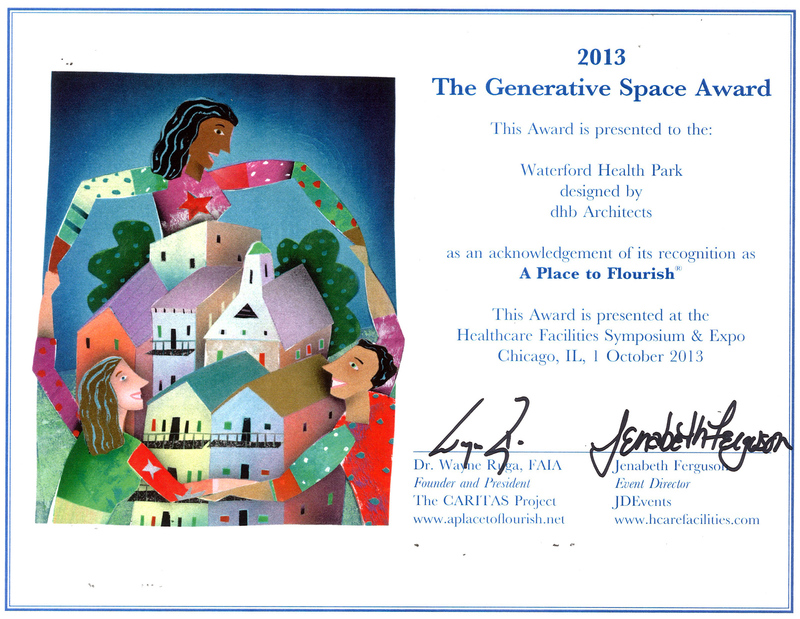 At the Health Facilities Conference in Chicago, Máire Henry, director dhb and Dr. Mark Rowe, Director Waterford Health Park were presented ‘The Generative Space Award 2013’. The Generative Space Award recognises break-through designs that improve health and healthcare. The judges said the ‘Historic design integration with contemporary use is exceptional’.